For those of you who know me, you must have noticed for the past few weeks that I've been totally obsessing over Fall! I honestly couldn't stop enjoying it, it's so magical & it brings out your inner child, how awesome is that! I also have been getting a lot of questions on how I took all these beautiful images, so I decided to share with you 5 simple steps on how you can capture the beauty of Fall. 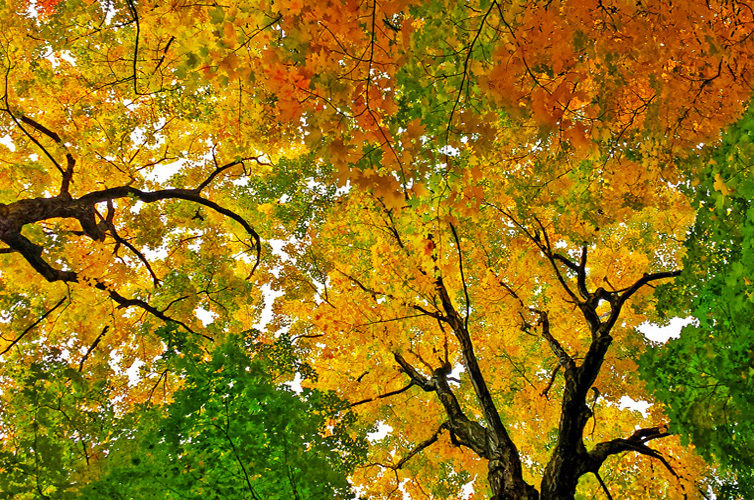 With a beautiful color palette of Orange, Yellow & Green, make sure you capture all the colors to tell the whole story. Not all images should have the entire palette, some will have one color, others will have two or more, just make sure your colors are saturated & pay attention to your metering mode. Best times of the day to shoot would be early in the morning just after sunrise or late in the afternoon just before sunset. Overcast? Rainy? Harsh midday light? no problem! If anything, overcast days are perfect for avoiding harsh shadows & highlights, the clouds act like a huge diffuser giving you a balanced light that eliminates shadows & highlights. While rainy days can be tricky, as long as you have protective gear for your camera, you can get great shots of rain drops & reflections. And when the sun is in the way, it's the perfect time to create stunning images of starbursts by closing down your aperture and voila! Change your perspective, look up! People tend to shoot at eye level. I encourage you to experiment with different angles at different levels, look up, look down & don't be afraid to look back! Moving closer to your subject by using your feet or zooming in with a lens can give you the chance to capture details you wouldn't be able to do otherwise. While close-ups of leaves are always interesting & beautiful, don't forget to look around & observe your environment, you never know when an interesting subject will show up like this cute fella! Don't forget to take a step back, have fun & enjoy the season, it's magical & beautiful so let it bring out your inner child, enjoy the moment & make sure you get to capture it!